Special Orders. If you want an instrument built just for you, talk to me. I will build in about any wood that I can obtain with any features that I can understand. I usually require a deposit of $1000 (or more depending on materials selected) before I start your build. If you elect not to complete the purchase of a guitar I have made for you, I will keep your deposit until the guitar is sold. Having a guitar custom crafted for you will cost more than buying one already in inventory, so if you play one you like, buy it. That one will sound just like you expect it to. Guitar Building Instruction. My students build a guitar under my guidance in my shop. All phases of building are covered including design, wood choice, tool selection and maintenance, construction and finishing. Expect about 100 hours in my shop spread over several months depending on both of our schedules. Expect to do a large amount of reading and other homework. 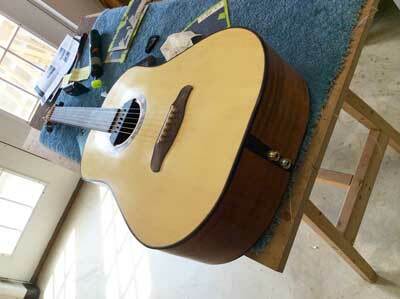 This process is both exciting and satisfying and you end up with a very nice guitar. I take no more than 2 students at a time. I charge a flat $3,000 for this. You purchase all of your own materials (usually $300-500). Guitar Repair in Fredericksburg, VA: I will undertake repairs to guitars of other makers when it makes sense to both you and me to do so. People often bring me their special instruments for personal attention. If the repair is simple, often I can do it while you wait. My shop rate is $50/hour plus materials. Call (after 10 a.m.) or e-mail for an appointment. A special slide guitar (no frets) prepares to enter the world of performance. 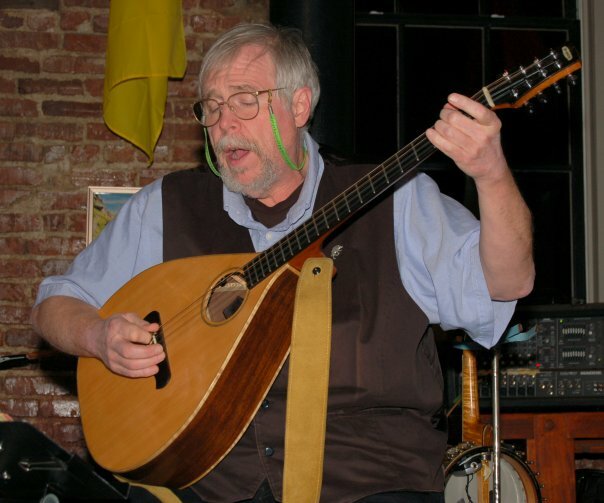 This bouzouki is played by Bill Reese of Moch Pryderi. It has a sitka spruce top with East Indian rosewood back and sides. The sound is remarkable. 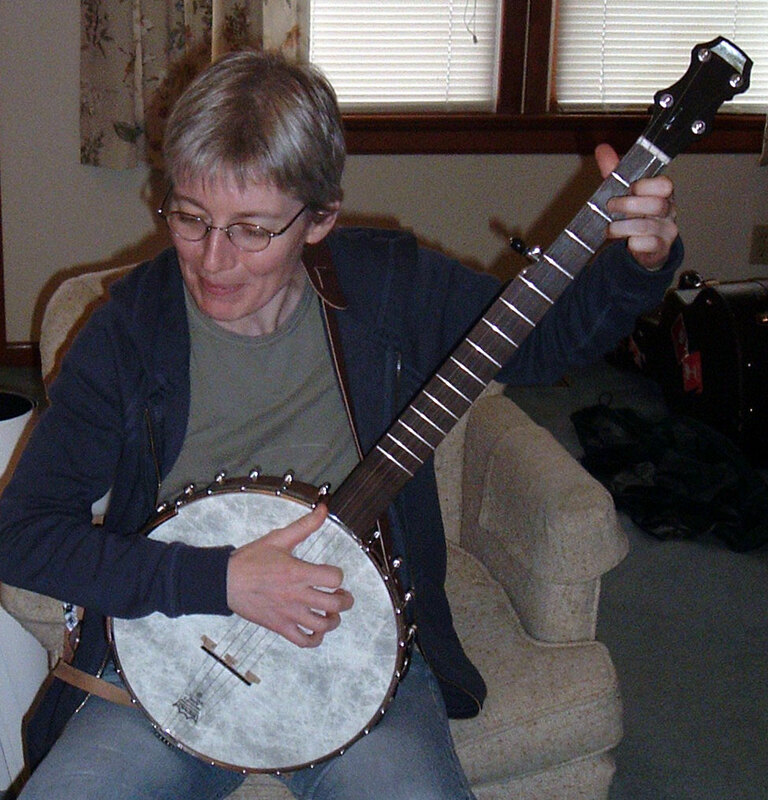 Zoe Mulford gets acquainted with her new banjo. It has a 12" walnut block rim and a mahogany neck with a 1 3/8" nut. My banjos have glued up block rims for a solid feel and a strong sound. I make wide necks with a comfortable feel. If you're looking for an open back banjo, come see me. 113- Left-handed Rappahannock. I make one of these occasionally. This one is on display at The House of Musical Traditions in Takoma Park, MD. You may have any other model left-handed (no extra charge) with an order. This Rapidan was made specially for silk and steel strings. It plays loud with a soft touch. This pine was cut sometime in the 1840's to be part of the crib dam in the Rappahannock near Fredericksburg. The dam was part of the canal navigation project completed in 1849. The wood was submerged from1849 until 2004 when the US Army Corps of Engineers blew up the concrete power generation dam just downstream. Some of my friends and I retrieved this piece of wood from the river. I made an acoustic guitar from Oak and Pine that were part of the crib dam. That guitar was auctioned to benefit the Friends of the Rappahannock in 2006. 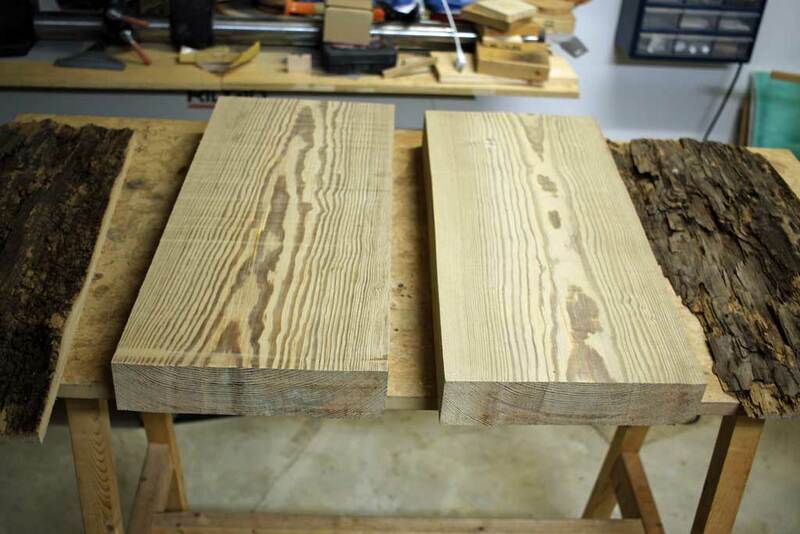 This wood would make an excellent electric guitar body. I have enough to make one. It could be yours. Want a "Damlecaster?"